If you are a member of a cheese club, or simply enjoy wine and cheese tastings, this cheese journal will help you begin to document flavor profiles amongst the cheeses that hit your palate. It’s perfect for cheese novices and pros alike! 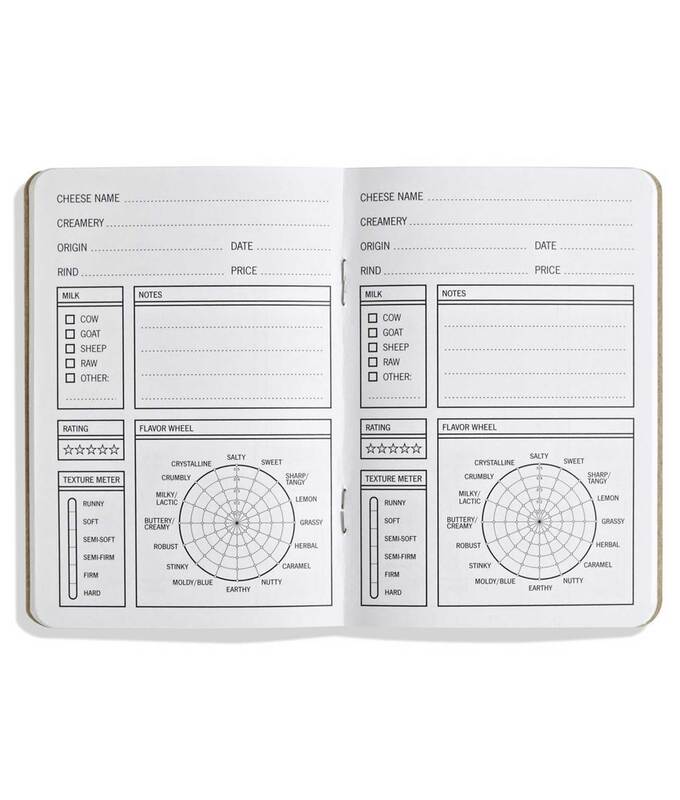 It is 3.5″ wide x 5″ tall, and there are 33 pages for recording your adventures in cheese tasting. 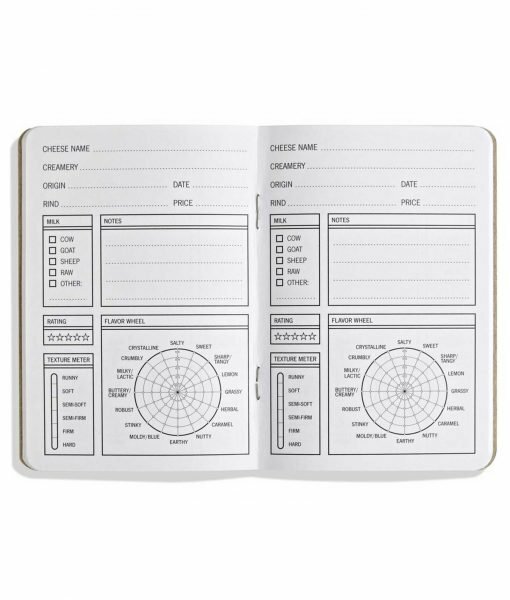 This compact cheese journal offers an easy way to quickly record cheese tasting notes in a small, convenient notebook format. It has been designed with ease of use in mind. It’s tough to hold a notepad in one hand, a pencil in the other, and have another hand left for your washed-rind Camembert. 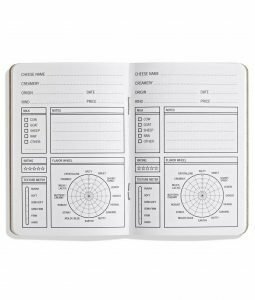 Taking notes with this cheese journal is as simple as checking a few boxes and entering a few basic facts. A flavor wheel inside lets you note a cheese’s unique flavor in a quick, visual way. Use the flavor wheel to quickly recall a cheese’s unique flavor long after consumption. For low values of the flavor, fill in dots near the wheel’s center. 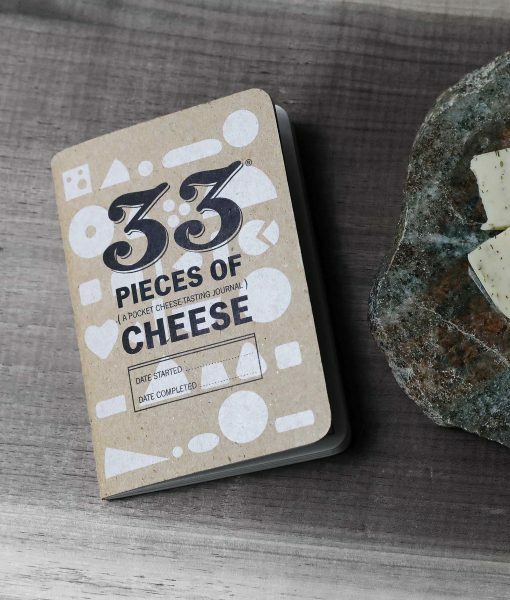 A teeny, tiny amount of raw milk is added to the ink in each new edition of this cheese journal, which is cryptically noted on the back. 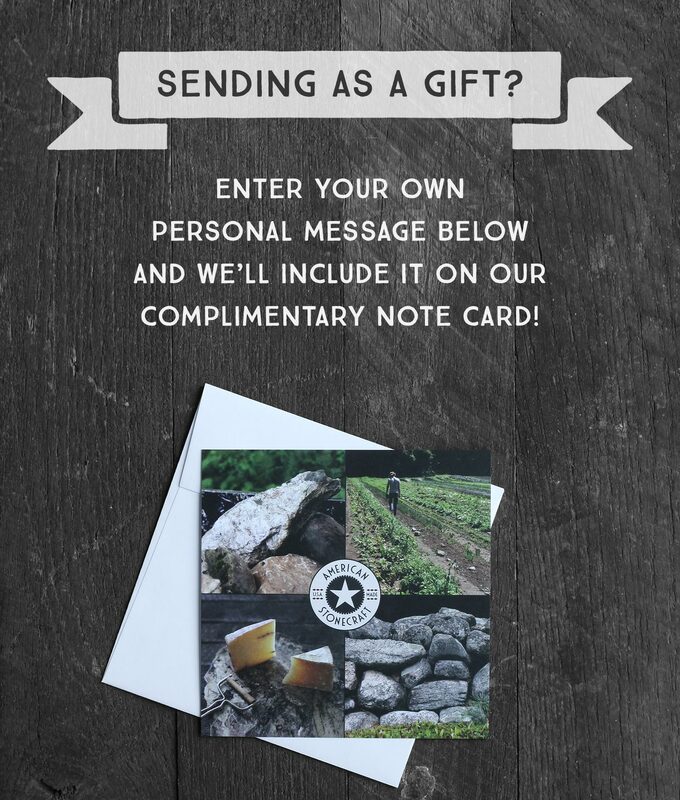 Each cheese journal is made with 100% recycled papers sourced in the Pacific Northwest. 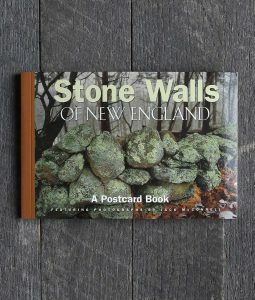 Interior pages are 100% post-consumer recycled content and covers are 85% post-consumer recycled content and 15% recycled content. 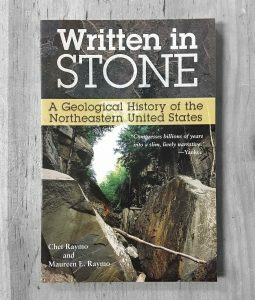 The booklets are printed using US-grown soy-based inks.